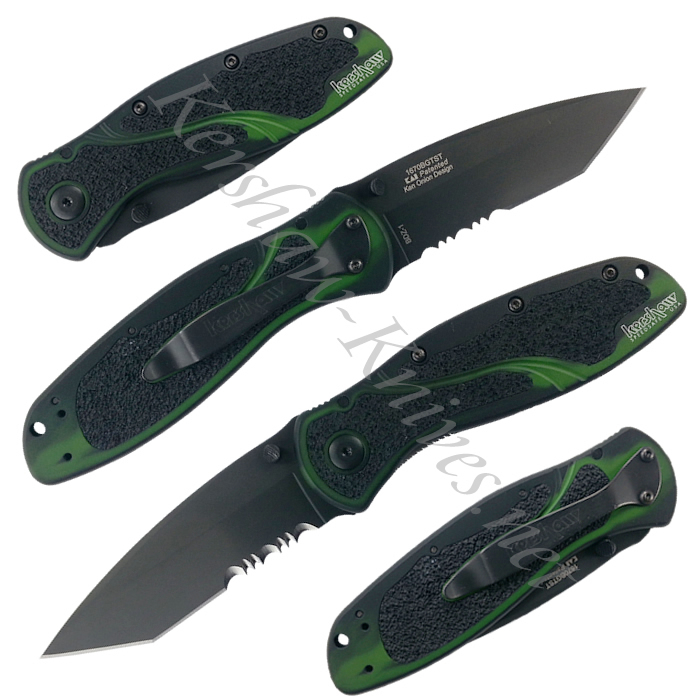 The Kershaw Blur Tanto Black/Green Smoke-Serrated has it all: a tanto point and partially serrated Carpenter BDZ1 high performance stainless steel blade, dual sloped thumbstuds, TracTech inserts on the handle for superior grip, and an awesome black-green color scheme on the double anodized smoked aluminum handle. No two knives are the exactly the same. Features a linerlock and speed safe assisted opening. Carry options include lanyard hole and black stainless pocket clip with Kershaw logo across it. The 1670BGTST is Limited Edition of 2,700 pieces and made in the USA!